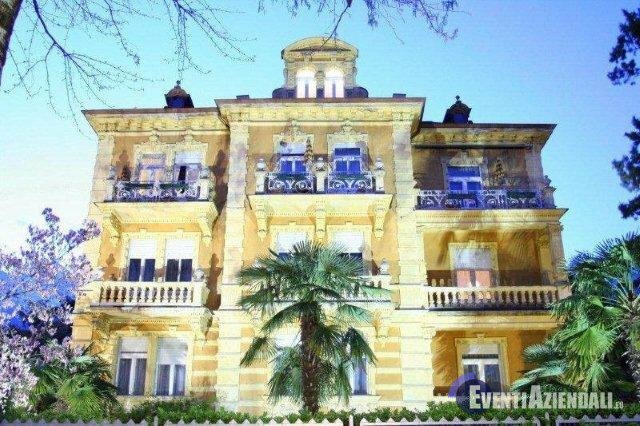 La villa Westend fu costruita negli anni 1890 dall´allora famoso architetto Pietro Delugan, come carta da visita e come rappresentanza di tutta la sua bravura. 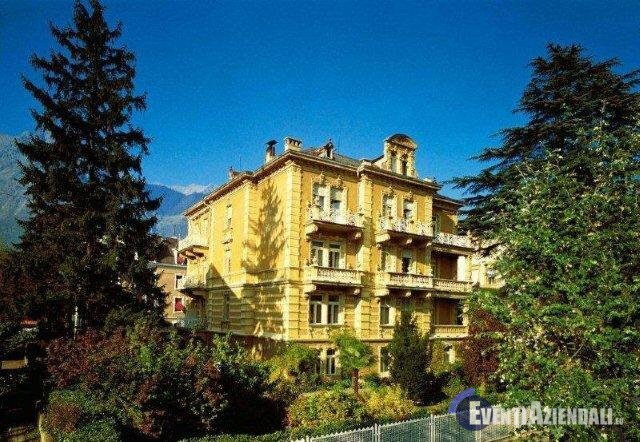 Cosi creò la villa con una delle più belle facciata nella Merano della sua epoca. Fu riconosciuto in tempo, che questa casa era ed è un gioello nello suo stile storico liberty e fu messa sotto protezione delle belle arti nel 1984. 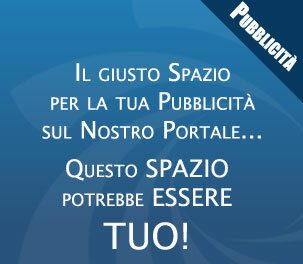 Benessere deriva dalle cose che contano: un ambiente signorile, camere spaziose, ariose, assolate, una cucina di qualità, dove il „fatto in casa“ non è superato, ma sopratutto ed è la cosa più importante, dall´atmosfera e l´accoglienza sincera unità all´idealismo ed alla professionaltià degli albergatori. To ensure that you really do feel at home at our Hotel, we would like to give you a little more background information about the Westend. 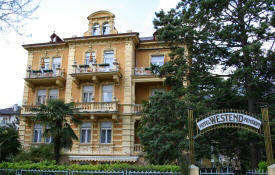 In fact, the Hotel was built in 1890 as a private Villa by the then-famous local architect Pietro Delugan. 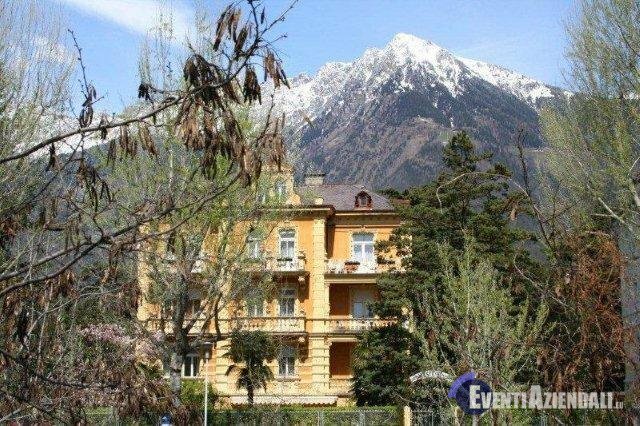 It would serve as a perfect example of his art and skill: it had one of the most beautiful facades Merano could boast at that time. The building is now justly recognised as a true Art Nouveau jem and has been listed since 1984. 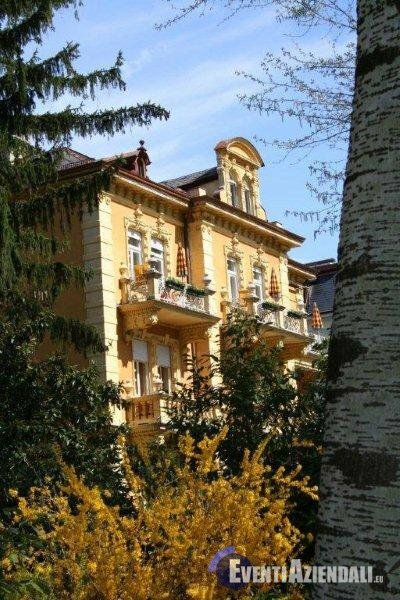 The Villa, pleasantly situatetd along the cool, shady river-side walk once known as the Stefanie Promenade, was sold to the Pöder family in 1907. They managed it as a guest house through the troubeld times of two World Wars and the very unsettled period that followed. 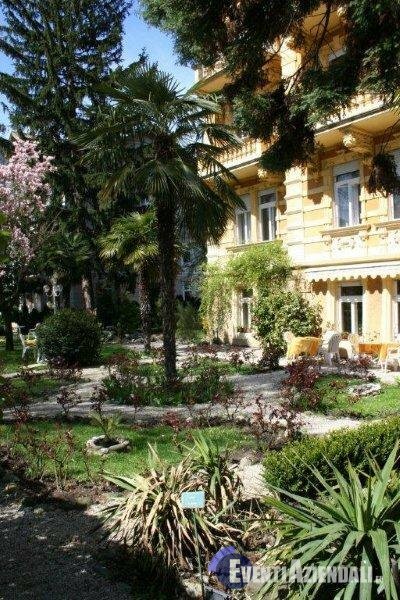 Many of famous guests have spent their holidays at the Westend, including the German poet Gottfried Benn, who wrote many letters and poems to freinds and family during his stay. The Strohmer family have long been active in the hotel and catering business; they already own the Hotel Europa Splendid. They bought the Westend Hotel 1983 and remodernised it completely with both taste and style. The Westend was awarded 3-stars in 1986.